Looking to get bigger and stronger? Jim Stoppani PhD gives you all the help and advice you’ll need when it comes to choosing the best supplements for strength and size. Advanced Sports Nutrition offers serious strategies for serious athletes. 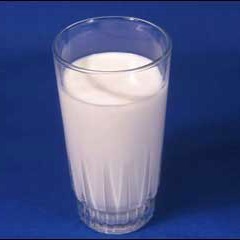 Drinking at least one glass of milk each day could aid brain and mental performance. What’s brown, wrinkly and does you most good? Analysis of the antioxidant content of nine different types of nut: walnuts, almonds, peanuts, pistachios, hazelnuts, Brazil nuts, cashews, macadamias and pecans showed that a handful of walnuts not only contain almost twice as much antioxidants as an equivalent amount of any other commonly consumed, but that those in walnuts were between two and 15 times more potent than vitamin E, renowned for its antioxidant properties.